Propolis Success? – Case Closed! We continue to be amazed at the amazing effects of propolis! An old friend of the Dotsons and recent BEEpothecary customer has had phenomenal help getting his two month old wound to close up, using propolis salve. We want to share this success with you. 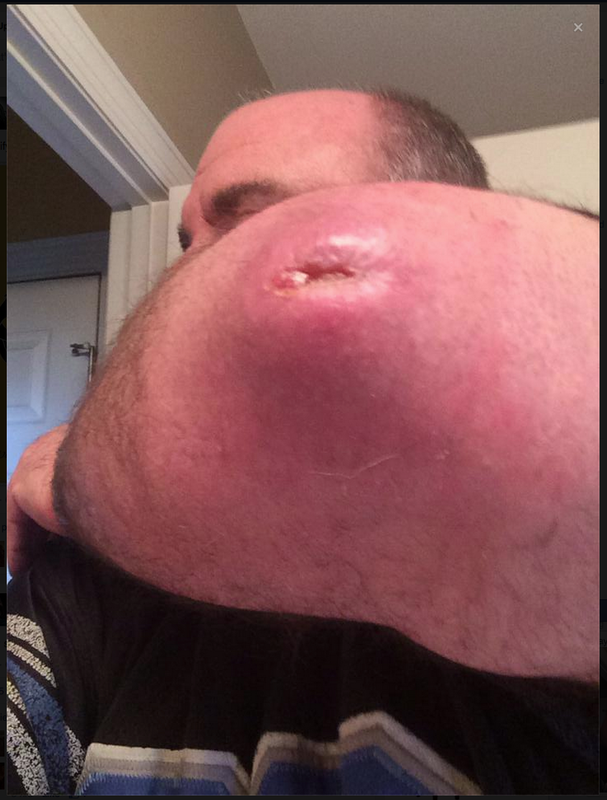 Several months ago, Thom, from Michigan, had surgery on his elbow. After the surgery, the incision just would not heal and the doctors could not find anything that worked to close this wound. When we heard of his plight, the surgical incision had been open for two months and he had missed two months of work because of this. We sent him some propolis salve right away. 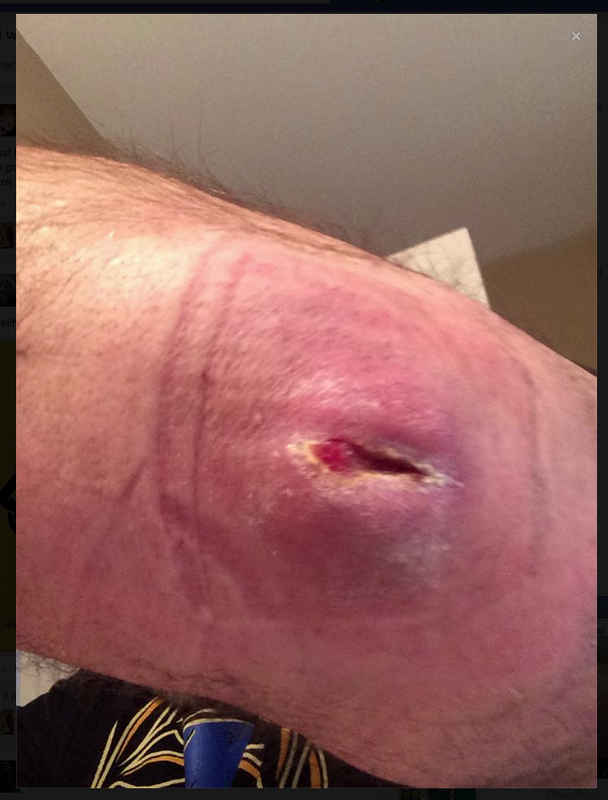 Thom started using it as soon as he received it and took pictures to document the wound’s progress. Within five days, his wound had closed significantly, as seen in the next photo. Needless to say, he and we, were thrilled with this progress! 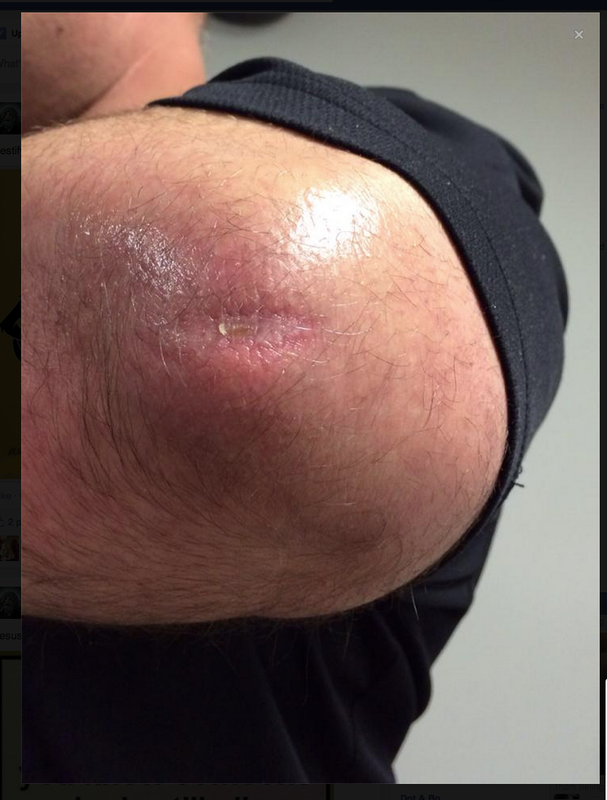 Thom continued to use the propolis salve and recently sent us a picture of his wound after a month of treatment. This is what his wound looks like now! Green Medicine’s Website at http://www.greenmedinfo.com. Research is great, but personal experience is even better, as far as we are concerned! Nothing thrills us more than our personal success or the success of friends and customers, using the amazing BEE propolis! Does propolis really work – absolutely YES! – CASED CLOSED! Across the ocean, curtains closed. In 1975, poor and chronic non-healing wounds, in 100 patients, were treated between 1972 and 1974. The target group, consisted of 12 patients with burns, 30 with venous crural ulceration, 10 with local sacral bone pressure ulcers, 23 with suppurative osteitis and arthritis, 15 with suppurative postoperative local wound complications, and 10 with infected traumatic wounds. All the 100 patients, described in the research had been unsuccessfully treated in the previous hospitals. Some people had suffered with the wounds for months and years. All the patients were treated with 3% ethanol propolis solution. The patients with osteitis and fistulas underwent wound rinsing every day, whereas on the rest of the patients the propolis extract dressings were applied, which were changed every day. of the most difficult to get rid of. Just more proof of the amazing power of propolis. Amazing treasures for me and you. 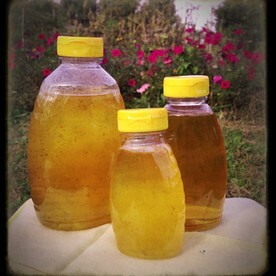 Every week, it seems, I read about more research that is being done on propolis, honey and pollen. I get a daily e- newsletter from Apitherapy News which reports the latest findings from apitherapy (the use of bee products for medicinal purposes) research. If interested, you can sign up for this newsletter at http://apitherapy.blogspot.com. The articles are sometimes difficult to understand, as they are medical abstracts. I will attempt to summarize some here, in layperson’s words! 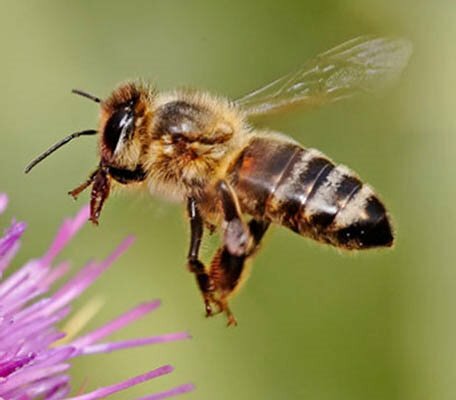 A study was posted in October 2013, titled “Total monoamine oxidase (MAO) inhibition by chestnut honey, pollen and propolis” by researchers, O. Yildiz, F. Karahali, Z. Can, H. Sahin, and S. Kolayli, from the Department of Chemistry, Science Faculty, Karadeniz Technical University, Trabzon, Turkey. This study was done to see if propolis, honey or pollen would function as MAO inhibitors (Monoamine oxidase), like many drugs on the market that are used to treat depression and other neurodegenerative illnesses, like Parkinson’s disease and Alzheimer’s disease. They found that propolis, honey and pollen all exhibited substantial inhibition of MAO, with propolis having the highest effect. Their conclusion states that bee products possess a sedative effect and may be effective in protecting humans against depression and similar diseases. It is amazing to me that a substances created by God’s little creatures, the honeybees, could do such amazing things for us humans. And they do it without college degrees, and laboratories, and artificially made chemicals, and multimillion dollar pharmaceutical companies backing them! Another study was published in October, 2013 showing that Manuka Honey (from the Manuka trees in New Zealand) decreases the virulence of the super bug, MRSA! This study is titled, Proteomic and genomic analysis of methicillin-resistant Staphylococcus aureus (MRSA) exposed to manuka honey in vitro demonstrated down-regulation of virulence markers, (Whew, that’s a mouthful! ), by J Antimicrob Chemother. Methicillin-resistant Staphylococcus aureus (MRSA) is a dangerous pathogen. It is resistance to multiple antibiotics and is very prevalent in healthcare facilities and is easily spread. It is a serious threat to human health that requires novel interventions. Manuka honey is a broad-spectrum antimicrobial agent that is gaining acceptance in the topical treatment of wounds. But the way it works is only partially understood. This study set out to investigate the effects of manuka honey on MRSA at a molecular level. In laboratory experiments, they found that glucose, one of the major sugars in honey, altered the genes in the MRSA bacteria, reduced its cell division ability and its ability to invade healthy cell tissues. Authors of this study conclude that these effects of honey on MRSA need to be investigated by more use on actual MRSA infected patients. My daughters, who are nurses, tell me that manuka honey IS being used here in the Columbus, Ohio area, to treat wounds, bedsores, and MRSA infections in hospitals and nursing homes. I also inquired about its use when caring for my mother in Wichita Kansas, and was told medicinal honey is part of their wound care protocol as well. This is encouraging news! Natural treasures from our Creator’s flora and fauna CAN be of incredible benefit to our health and well-being! BEE Power!! 2 I will go before you and will level the mountains; I will break down gates of bronze and cut through bars of iron. 3 I will give you hidden treasures, riches stored in secret places, so that you may know that I am the Lord, the God of Israel, who summons you by name. 4 For the sake of Jacob my servant, of Israel my chosen, I summon you by name and bestow on you a title of honor, though you do not acknowledge me. 6 so that from the rising of the sun to the place of its setting people may know there is none besides me. 7 I form the light and create darkness, I bring prosperity and create disaster; I, the Lord, do all these things.